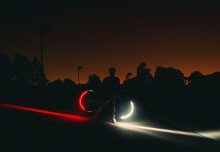 If you ride your bike on a regular basis, you may find over time that you are faced with the odd unwelcome creak, squeak or mechanical groan. It can be tempting to immediately march the poorly cycle to your local bike shop – but with the right kit in your toolbox, you can save yourself he hassle. A bit of DIY will save you a few bob, and you’ll also get to enjoy the sense of achievement that comes from fixing something yourself. There are some tools that will do just one specific job, and you might feel at a stage where that simply isn’t worth the investment. However, there are a few pieces which will serve multiple purposes – once you’ve got them, you’ll probably wonder how you ever survived without. This is not absolutely essential – but it will make your life a lot easier. 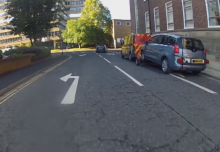 Trying to adjust cables, index gears, change brake pads – with the bike against a wall or, horror of horrors – upside down, will make what could be a simple job much harder. A good stand will fold away – so it won’t dominate the room, unless you want it to. 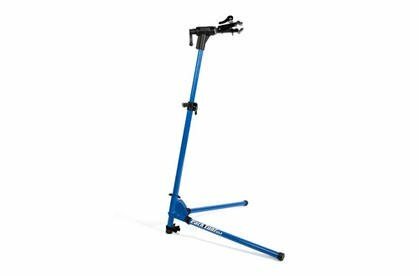 You will also be able to adjust the angle of the clamp, and of course the height so you can work on the bike at a level that is comfortable for you. This one is by Park Tools. It will set you back £149.99 – but it’ll save you much hassle over the years. We promise the next items on the list are all cheaper. 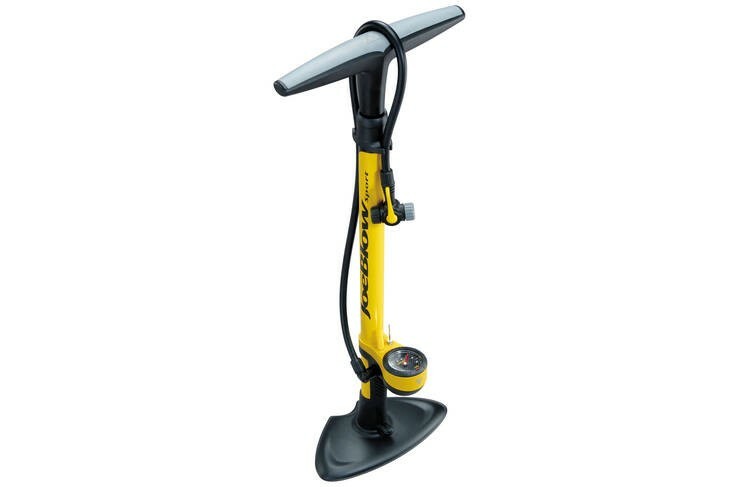 Depending on the sort of bike you have, you can use a mini pump to get your tyres to the right pressure – but it will take you quite a while. If you ride a road bike and need to be at 100 PSI plus, you might even struggle to manage that with most mini pumps full stop. Squishy tyres mean a slower ride and more punctures. Enter: the track pump. Unless you want to be at the bike shop every week, this is a necessary item. The To-Peak Joe Blow is £36.99 and it’s very easy to use. Often called Allen keys, you’ll use these throughout your cycling career. Unless you’ve got a quick release seat post, you’ll use them to change your saddle height, they’ll also be needed if you want to alter your handlebars, change the stem, to adjust the tension on calliper or V-brakes, to replace brake pads – the list is endless. For most people, a 2-8mm set is all you will need. You will probably want a multitool with Allen keys for when you’re out and about – check out our post about on the move maintenance for more tips on what to take. However, when in the comfort of your own home, it makes sense to use a proper set. Longer arms will allow you to get a better hold, reducing the risk of rounded of bolts, and if you go for ball-ended tools, you will be able to spin the bolts from an angle in harder to reach areas. 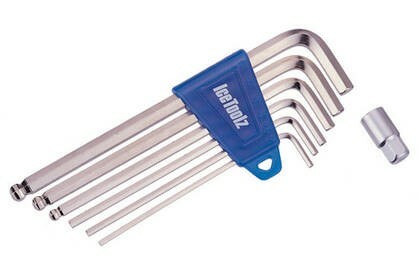 At £15.29 (RRP £24.99), these Park Tool keys are a good quality set, but at £5.24 (RRP £6.99) IceToolz offer good value. If you don’t have quick release wheels, and your bike uses nut bolts, you’ll need a spanner or wrench to get them off. 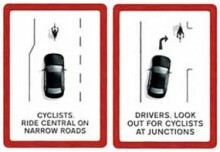 This can also be used when fitting some accessories, and could come in useful if you one day find your pedals harder to get off than expected. You could get a full set in various sizes, or you could get yourself an adjustable which will suit you in the majority of cases. Simply twist the adjuster to make the clamp onto the part you wish to shift. 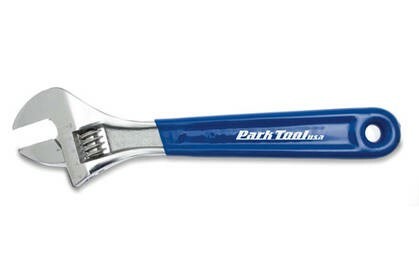 Something like this from Park Tool will do the job. 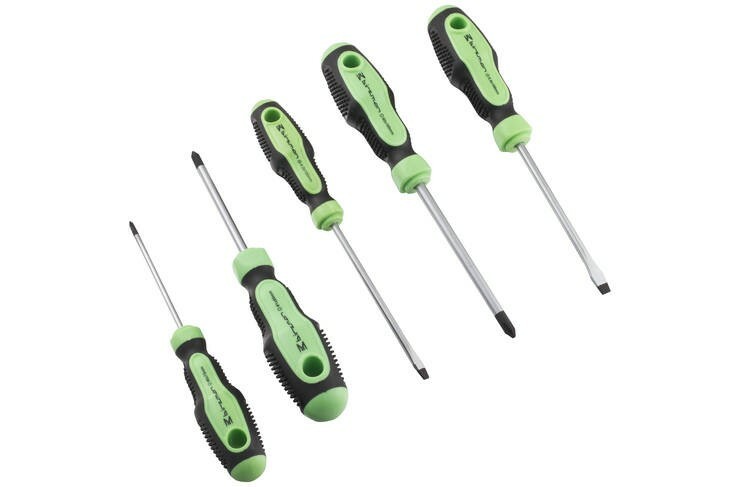 A set will include a Phillips head screwdriver, and a flat head screwdriver. These will come in handy for a number of jobs – fitting accessories such as lights and bike computers, fitting new cleats if you ride clipped-in, and you may also need a Phillips head screwdriver to adjust your gears at some point. There will come a time when your gears start to make a nasty clunky sound – it happens to us all and the good news is it’s really easy to fix. In some cases, you might just need to twist the barrel adjuster, which is explained here. Sometimes, however, you may need to adjust the limiter screw (explained here). These are by Birzman but Park Tool and Ice Toolz are too of the most popular brands for bike tools. Your bike will need more jobs doing to it if you don’t keep it clean. Dirt builds up on the chain, cassette, and around the bottom bracket. You can use a toothbrush and toil over this for hours – or you could spray some purpose designed de-greaser and make your job a lot quicker. 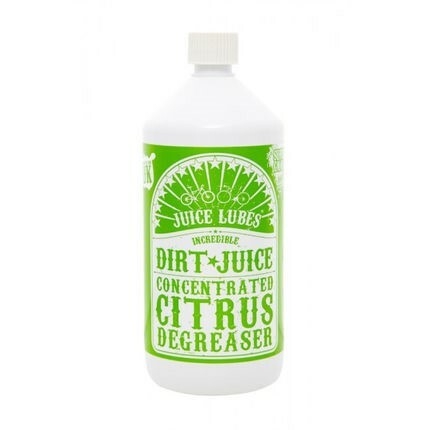 Juice Lubes make this great “Super Gnarl Concentrated Degreaser” to do the job, but good old WD40 found in most home stores will do the job too. Once you have cleaned your chain – you also want to use some lube to stop it from rusting and reduce wear. Remember: dry lube most of the time, wet lube for wet weather. Didn’t we just take the grease off? Yes – but sometimes we need to add some. When you replace blots, put a little bit of grease on the end. When you take your seat post out, use a little grease. When you put new pedals on your bike, rub a smidge onto the thread before twisting them in. Doing this will prevent corrosion and also help make sure these items don’t become seized making them a pain to remove in the future. 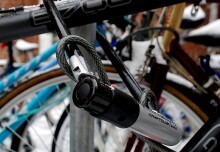 Over time you might want to change the chain, replace the bottom bracket or cassette, and for these jobs there are some extra tools to add to your list – but the items above will help you keep your bike running smoothly and clunk free in most cases.